A preliminary briefing on research findings from the multi-disciplinary Millennium Cohort Study (MCS) offered an insight into the aspirations of the Millennial generation in the UK, defined as a sample of individuals born during the year 2000 in Wales, Northern Ireland, Scotland and England. Originally established to assess the influence of early family context on child development and outcomes through childhood, adolescence and into adulthood, the MCS is starting to yield a fascinating snapshot of Generation Y. Indeed, participant responses to surveys at the ages of 7 and 11 years showed an increase over that time in aspiration or ‘dream’ levels, with a gender disparity with girls citing a proportionally greater wish to work in high level management or traditionally vocational careers (including ‘teacher’, ‘doctor’, ‘vet’). By comparison, ‘sportsman’ was the overall career aspiration for boys at both 7 and 11 years, a trend supported by a 2012 retrospective questionnaire completed by 8000 adults via business-orientated social networking platform LinkedIn. Such findings prompt interesting discussions of whether boys of the Millennium need to be targeted with more wide-reaching career options and role models. To my view, this dream should not be subject to an educational or parenting approach that encourages a move towards more technical careers so devaluing a goal that may appear untenable and unrealistic. The UK primary schooling system should increasingly seek to offer an ‘education in the school of dreams‘ to re-appropriate Jennifer Lynn Peterson’s phrase and taking inspiration from the recent new wave Japanese early learning system. Child aspirations recorded in the MCS were sub-categorised by ethnicity including children of Asian heritage living in the UK. Asian boys were less likely than their peers to rank ‘sportsman’ as their number one life aspiration, instead citing ‘making money’ as a motivation and ranking associated work positions accordingly (including ‘banker’). However, the recent shift in Japan’s early age education suggests a sustainable adjustment in infrastructure, promoting prosperity and diversity in youth aspiration. The introduction of compulsory elementary and early secondary education has been critical in sustaining the rapid economic growth Japan has witnessed since the end of World War II characterised by a rigorous ‘heads-down’ curriculum and teaching structure. Indeed, as Peter Cave notes in Primary School in Japan: Self, individuality and learning in elementary education ‘the expectations placed on schools are as high in Japan as in other rich, modern countries, if not higher. Japanese schools have long been entrusted with a major role in the production of “desirable human beings”‘. However, since 2000 this national classroom attitude has been flipped. Cave concludes that ‘although recent reforms have tended to stress individuality and independence, teachers in [Japanese] primary schools continue to balance the encouragement of individuality and self-direction with the development of interdependence and empathy’. The teachers within this framework are increasingly prioritising an holistic, aspiration-centred approach to studies, with a regular programme of dream identification, setting and exploration. By ‘dream’ we here mean professional and personal life goals. Such an investment in the emotional and life-sustaining role of aspirations (from Latin nominative aspiratio meaning to ‘breathe in’) will surely create a generation of citizens aware of who or what they wish to be in the present and on-going. Moreover, there is synergy between health and education – if you want to have an influence on one you have to be cognisant of the other. Sustainable Development Goal (SDG) 3.7 (‘by 2030, ensure universal access to sexual and reproductive health-care services, including […] education’), 4.4 (‘by 2030, substantially increase the number of youth and adults who have relevant skills, including technical and vocational skills, for employment, decent jobs and entrepreneurship’), and 4.7 amongst others all link education and equity in health. 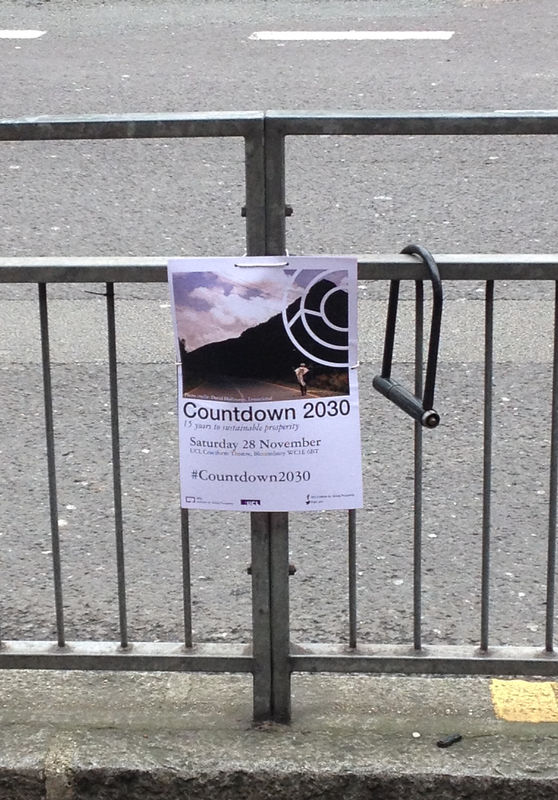 This is situated within a mass of literature on the social determinants of health across the live course, often projected to the year 2030; the end-point of the SDGs and the focus of UCL’s Centre of Longitudinal Studies Countdown 2030 project. 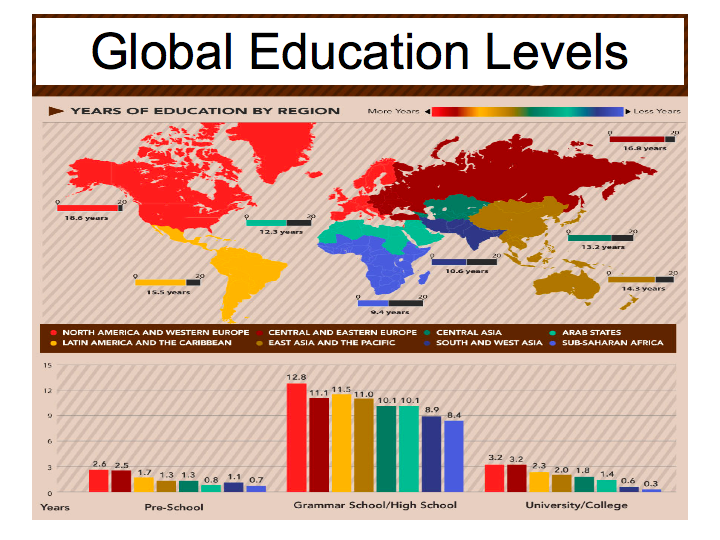 It can therefore be shown that education is a good vehicle for health improvement globally. There has been a rapid expansion of education across the world since 1970 and health is increasingly part of the core business of schools. In their systematic review of adolescent health and adult education and employment, David Hale et al found that poor health in adolescence predicts 25% to 72% greater odds of lower attainments or NEET (not in education, employment or training). Put simply, health predicts gains in attainments and life chances across adolescence and into adulthood. It could be argued that what appears to be globally lacking is a pre- and adolescent (definable as the the start of puberty to acquiring a stable position is adult society) awareness of the world and aspirations that locate themselves within a non-individual, and even non-ethnographic locus. The MCS recorded scarce awareness of climate change nor career aspirations of ‘environmentalist’ or ‘geologist’. Indeed, even ‘politician’ ranked low on the career list suggesting an introversion of vision and energy. But the picture is not quite so transparent. Indeed, researchers Helene Joffe and Victoria Zeeb are studying the aspirations of connectedness and autonomy of Millennial [defined here as anyone between the ages of 18-30] city-dwellers. 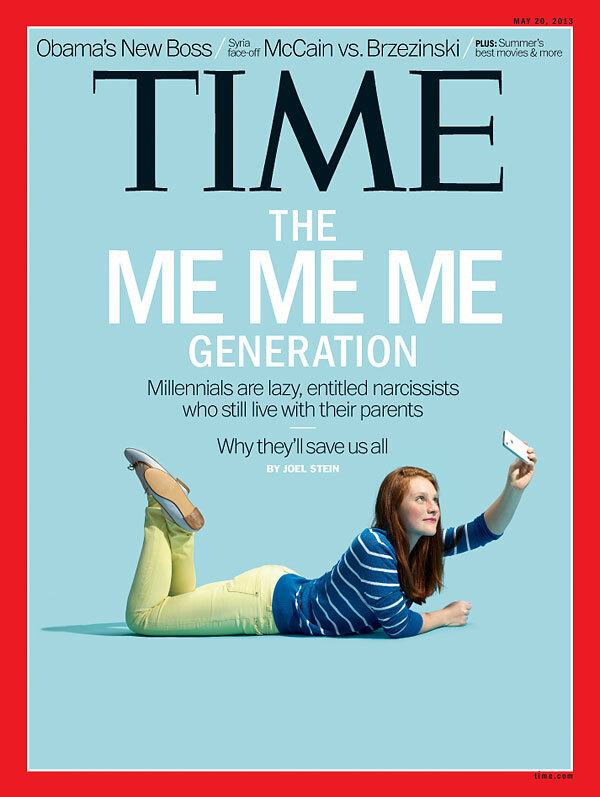 Against the background of an urban environment (with correlating positive and negative influences) they have sought to dispel findings from research such as Twenge, 2013 and the below cover of Time Magazine that suggest Millennials are narcissistic and self-entitled citizens. Their work indicates that connectedness plays a key role in Millenials’ envisioned futures and is crucial for their wellbeing. Moreover, they report that simply the act of aspiring to ‘connection’ (familial, companionship, weak ties: ‘relationships involving less frequent contact, limited intimacy and minimal emotional intensity’) is linked to wellbeing. Such data does not bear out studies showing Millenials to be self-orientated. Instead, Generation Y aspire to ‘connection’ in the same manner that non-millennials (cohort X) did, but they are different in forming weak ties in the workplace rather than within the community (these are becoming increasingly harder to form and safeguard within urban lifestyles and aspirations) which may be detrimental to wellbeing in the long-term. Of course, dreams are not merely the domain of the youth of today, nor are they the reserve of the privileged, developed world persons. I would argue that every human has some aspiration referent whether that be to acquire a safer settlement as Hans Rosling identified amongst the families living in absolute poverty in this podcast, or those who seek to earn a postgraduate qualification. Even Kanye West has dreams. They are the very substance that gives our lives meaning and, sometimes, purpose. Putting this meaning into practice might become more challenging as one ages but at every stage of the life course our mental and physical wellbeing can be embraced through a process of ‘dream’ recognition. I recently attended a ‘what I wanted to be when I was younger’ themed 25th birthday party. Of the aspirational careers that studded my childhood (figure skater, Post Office sorting officer, lighthouse manager and doctor), the latter loomed overwhelmingly large. Donning my old scrubs and borrowed stethoscope I realised I was typical of the Millennials in having regularly changed my life aspirations during childhood, but I was unusual in initially pursuing medicine as a profession (only 30% of adults are expected to be working in the career area their 7 years old selves identified as number one choice, and the figure is much lower in other studies). My dreams changed and will no doubt continue to shift and develop. So will those of my fellow party-goers. From clowns to athletes, celebrities to teachers, such aspiration must be consistently celebrated, addressed and, arguably, pursued at regular stages in life development. As Rudyard Kipling advocates in his infamous poem ‘If’: ‘if you can dream – and not make dreams your master’ from childhood onwards, then the next generation of professionals and global citizens will enjoy a healthy self-reflexivity of understanding and ideology.